Sequoias National Park Hiker. 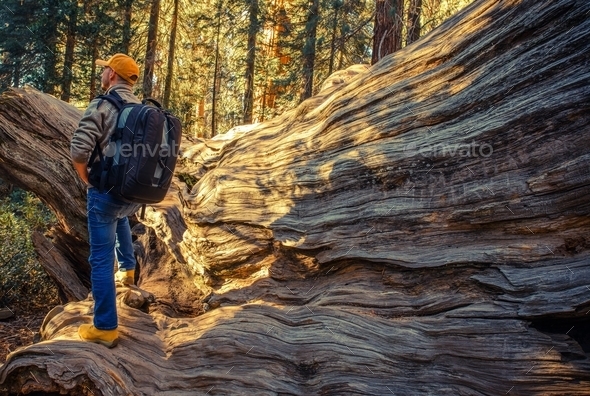 Caucasian Men with Large Backpack on the Sierra Nevada Trailhead in California, United States of America. Taking Sun While Staying on the Fallen Giant Redwood Sequoia Tree.